Accredited by the Nursing & Midwifery Council (NMC). Varied and high-quality clinical practice placements. Develop key skills in our Clinical Skills Laboratory. Possible opportunity to travel and learn overseas. Small class sizes ensure superior tutor support. Every teaching team member is NMC-registered. 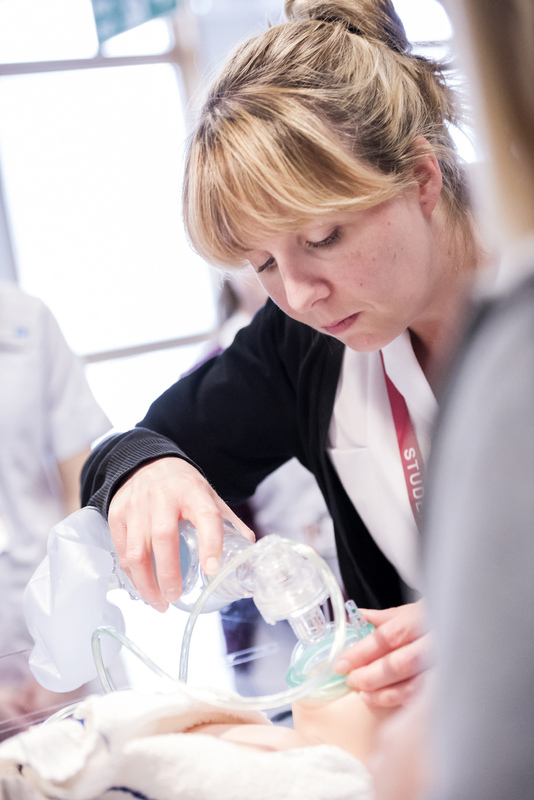 Accredited by the Nursing and Midwifery Council (NMC) and underpinned by the NMC 2010 Standards for Pre-Registration Nursing Education, the degree has been designed by the programme team with practice and service users partners. During your studies, you learn how to respond to the holistic health care needs of children, young people and their family and / or carers. We also encourage collaboration with other professionals from health, social care and education to deliver an excellent standard of care. From the beginning, we prioritise your employability alongside your education. To make you a ‘career-ready’ graduate, you receive guidance throughout your studies from our teaching staff and clinical practice placements. Tutors come to the course with substantial professional experience and personal tutors are registered with the NMC as Children Nurses and Adult Nurses. The whole team possess recorded teacher qualifications. Your clinical placement makes up half of your degree, or 10 weeks’ practice over three years. Expect to work 37½ hours a week, working on long days including early, late and night shifts, and on weekends, depending on your role. Although demanding, it is indispensable experience. As an elective, you could also get experience elsewhere in the UK and possibly overseas. We do our best to maintain excellent standards; we expect our students to comply with University policy and NMC Health and Character as a Student. We embed the NHS Constitution Values into everything we do; defining the behaviours and expectations of our staff and students. To view the full NHS England Constitution and Values go to the Government website. For more information, get in touch with Sarah Todd, Course Leader and Admissions Tutor for Pre-Registration Child Health Nursing: s.todd@uos.ac.uk or 01473 338541. Your first year focuses on Contributing to Care (Level 4), which develops key skills and knowledge with core themes including nursing issues; professional, legal and ethical issues; communication; anatomy and physiology; and children with acute illnesses. In the second year we teach Assess, Plan, Implement and Evaluate (Level 5), building your ability to develop skills and knowledge that enable the process of effective care delivery to meet specific health needs. In Year 3, Leading and Managing Care (Level 6) focuses on the deteriorating / critically ill child. The focus of the first year will be the development of the essential knowledge skills and value based attitudes necessary for you to contribute to the plan of care for children / young people, their families / carers. These foundations of nursing practice will be learned through observation of and participation in care delivery supported by a suitable mentor and other appropriate members of the multi-professional care team. This is an introduction to the experience of higher education and the theoretical and practical knowledge that underpins practice. The module will include both generic and Child Health Nursing specific content enabling you to attain the appropriate knowledge to understand the particular needs of children and their family / carer(s). This module builds upon knowledge and cognitive skills to enable you to make an increasingly significant contribution to the individual child / family plan of care. Deeper knowledge of the anatomy and physiology, underpinning rationales and justifications for care are reinforced with the cognitive skills; needed to make decisions as to care need, exercise judgment as to priorities in various contexts and justify outcomes. This module focuses upon holistic care, primarily acute illness of the child/ young person and their families / carers. The purpose of this module is for the student of child health nursing to extend the knowledge and skills that have allowed them to make a significant contribution to the plan of care. This module contributes by extending and deepening the your knowledge and further developing the cognitive skills required to assess, plan, implement and evaluate the care of small numbers of individuals in a variety of settings. Child Health nurses need to develop further knowledge and skills that will enable them to support, facilitate and negotiate care delivery, working in partnership with the family. The focus of this module is continued development and consolidation of the primary knowledge and skills that are required to deliver planned, progressive and individualised care in a variety of contexts. Child Health nurses need to develop knowledge and skills enabling them to recognize the importance of choice and empowering children and families in the care planning process. They need to develop knowledge and understanding of “at risk” situations and how these can be managed. More specifically, they need to critically explore their role in supporting children with long-term conditions with their health care choices. This module will prepare you to make the transition from student to registered nurse, capable of managing the care of small groups of children / young people, their familie s/carers and leading, supporting appropriate members of the care team. The knowledge, skills and value based behaviours developed in years one and two will be extended and refined and applied with those required to achieve successful leadership and management. Effective leadership, knowledge of service improvement strategies and lifelong professional development skills are vital for nurses working within healthcare in the 21st century and wishing to deliver high quality care. The service user (child / young person) is becoming increasingly empowered and health care professionals must learn to make no decision about them, without them (Department of Health, 2010). This module will extend the your understanding of core concepts related to these principles and introduce you to notions that will allow you to develop your knowledge of management and leadership within the care team. High quality and innovative, ethical and contextually sensitive care will remain the main focus of the module. How we nurse children and young people in the community is constantly changing, creating new career opportunities for Child Health Nurses. Once your course is completed you can apply to work locally, regionally or nationally in a variety of settings – Acute Hospital Trusts, Community Trusts, Nurse Education and research, for instance. Every module on the course is mapped against NMC Standards of Competency, QAA Benchmarks Healthcare Professions, QAA Benchmarks for Nursing, and Graduate Headstart Employability Skills. This ensures you also learn transferable knowledge required by many other types of employers. Travelling abroad also boosts your employability, exposing you to new experiences and perspectives. For example, in 2017 two of our students spent a week at Keio University in Tokyo, Japan where they met other students from Japan, Korea and China to discuss nursing and health care issues. 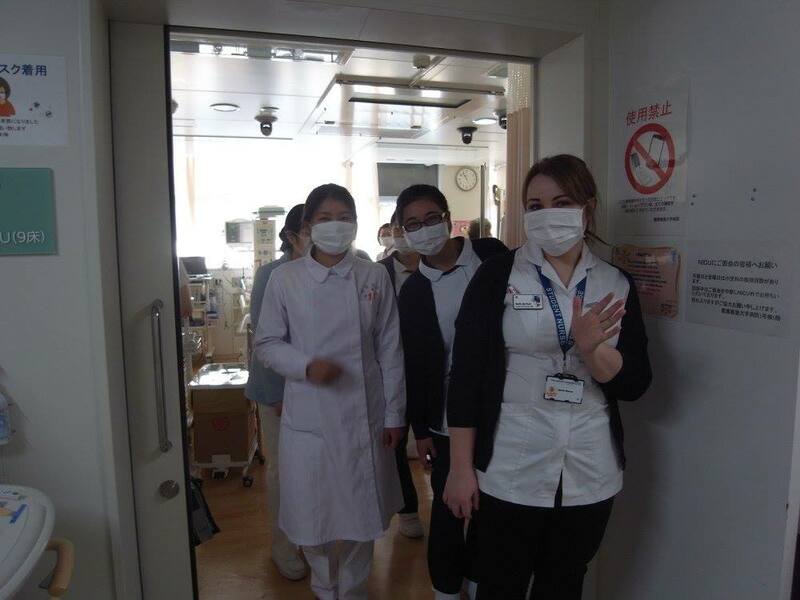 Students visit Japan to see first hand how health care is delivered in a different culture. "Summarising the trip is so difficult, but what I will say is that it was such an amazing experience. To compare and contrast the role of the nurse between the four countries involved was so insightful. We were also able to observe the nurses working in the community and within Keio Hospital which was so interesting. "The trip was incredible and being able to observe the role of the nurse within a different a country / culture really opened my eyes to the universal career of nursing. It became clear that although the training and the way in which we work differs, the main aim of providing care for our patients remains the same. Also, the opportunity to sightsee with local people during free time made the trip all worth it." Applicants are expected to hold five GCSEs grade 4/C or above to include Mathematics and English (or equivalent). Applicants whose first language is not English, but who have been living in the UK for 2 years or more will be expected to hold GCSE English at Grade C or above (grade 4-9 for the new GCSE), or the relevant Level 2 equivalent (if applicable). During your degree you have access to excellent quality technology and facilities. 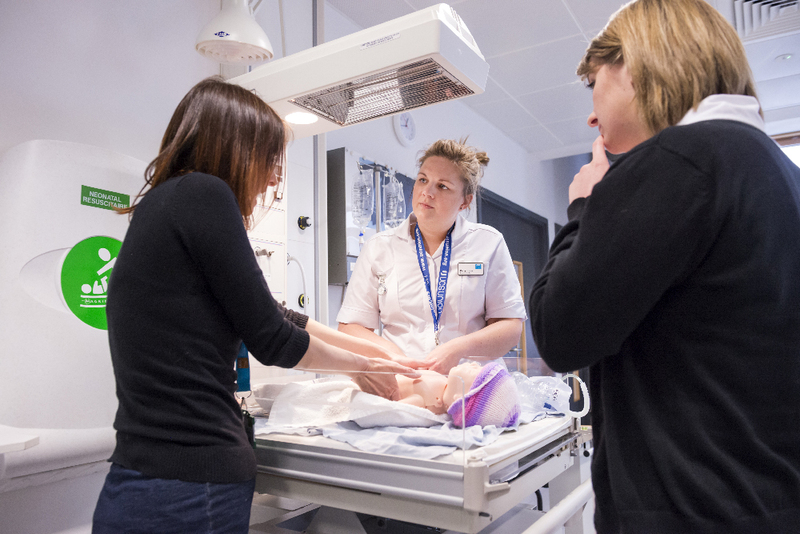 Our Clinical Skills Laboratory in the James Hehir Building uses simulation equipment such as SIM BABY and SIM Junior. These high fidelity mannequins produce altered physiology, including heart and lung rhythms – ideal for your practice preparation. You will also have use of our modern Waterfront Building, featuring one auditorium which seats 200 people, two main lecture theatres each seating and 34 teaching rooms seating. Every teaching room has state-of-the-art AV equipment enhancing students learning experience and spread across the open study areas there are approximately 50 iMacs.